‘L’Espill’ asks whether democracy would be better off without the EU; ‘Ord&Bild’ re-reads China’s Cultural Revolution; ‘Syn og Segn’ seeks sustainable solutions for Norwegian architecture; ‘Vikerkaar’ explores credit and debt beyond economics; ‘Res Publica Nowa’ discusses the parlous state of Polish NGOs; and ‘Symbol’ talks to Javier Cercas about the novel. ‘The European Union lacks the degree of constitutional maturity, in terms of strength and a single voice, and the sufficient democratic approval from its citizens’ needed to confront its current problems, writes Ricard Pérez Casado, former Socialist Mayor of Valencia, in the current issue of Catalan-language journal L’Espill. These problems are both internal – disaffection and the rise of populisms – and external: globalization and the new geopolitical order. 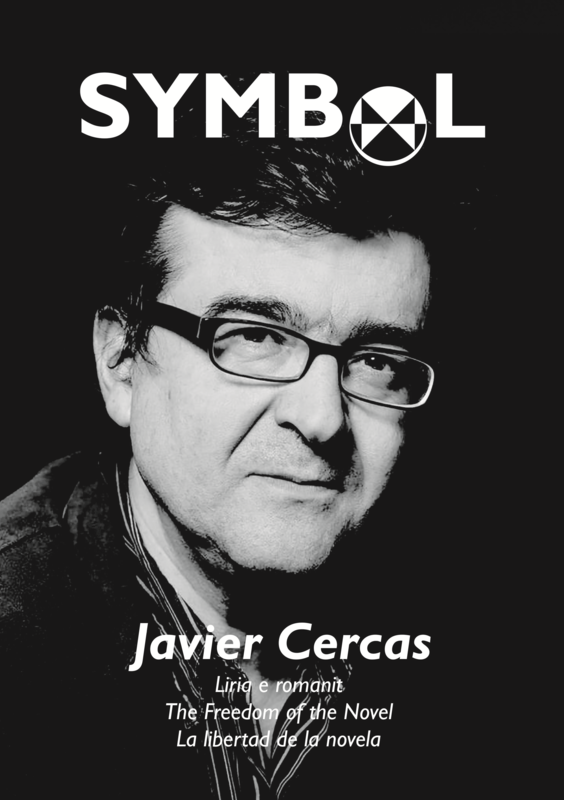 Pérez Casado surveys the sometimes contradictory forces that prompted the creation of European institutions after 1945: the desire to make a clean break with the fascist and nationalist catastrophe and to re-affirm liberal values; the need to accelerate reconstruction after the devastation of war; and the desire to strengthen European societies against the threat of communism. 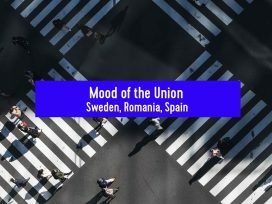 In all these objectives, western Europe was encouraged by the United States, which needed a stable bloc as an essential ally in the Cold War. Europe’s delegation of its defence to the USA has since been revealed as ‘a sign of weakness on the world geostrategic stage’. However, the greatest fault of the EU has been in the complexity of its institutions and the anti-democratic opacity of much of its decision-making, especially in the eurozone. ‘The question we must ask, from a democratic perspective, from that of defending the values that constitute the core of the EU, is whether without it we would be better off’. Pérez Casado’s answer is still no, and his primary solution is transparency and ‘the extinction of opaque bodies outside democratic control’. 1968: Elsewhere in the issue, contributors survey the huge changes that have occurred since 1968 in a range of areas: global economics, geopolitics, tourism, the growth and then crisis of the welfare state, rural depopulation, food, music, gender, technology, migration and many other fields. 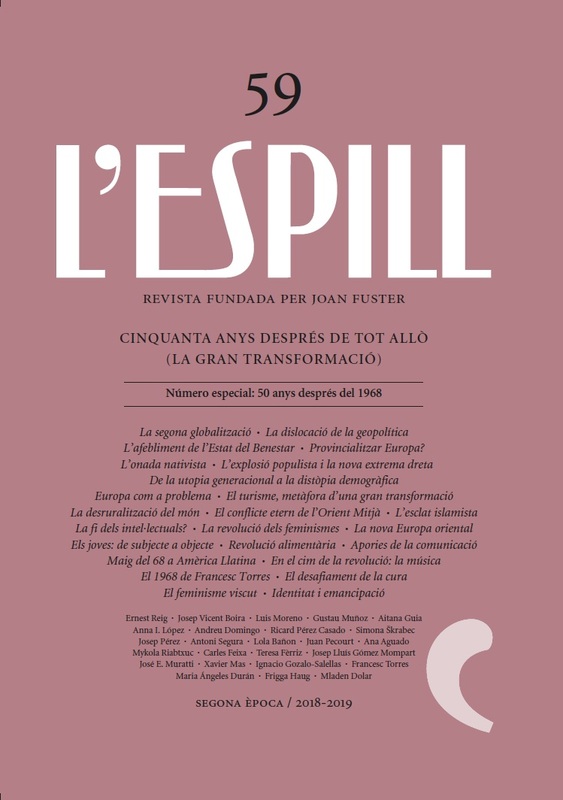 Rather than just celebrate the date, L’Espill’s editors write, the magazine seeks to take a long view of these transformations, ‘in order to understand better where we are now … and to identify with solid ideas and arguments the most important challenges of the present and the immediate future’. 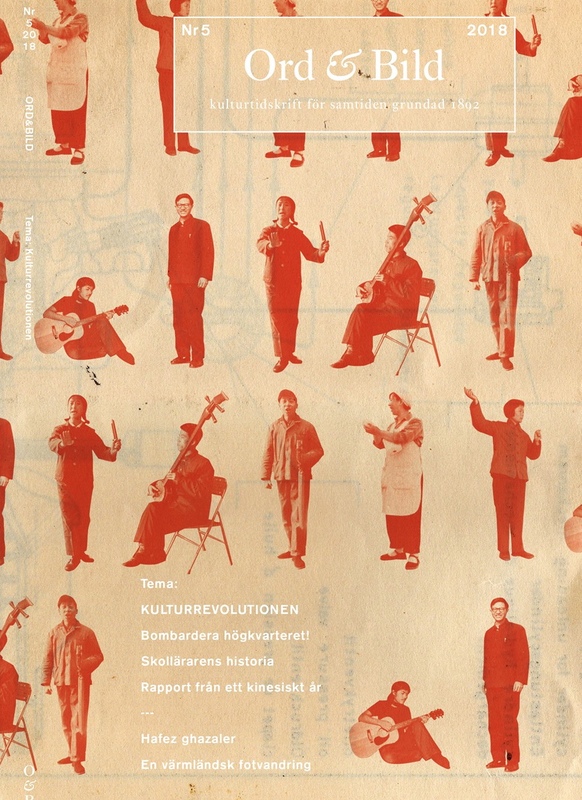 Ord&Bild publishes an issue exploring the narration of China’s Cultural Revolution and the reproduction of its legacy. Today’s communist party denounces the Revolution, which it claims to have been ‘overruled’, writes guest editor Göran Sommardal; nevertheless, the Revolution continues to be invoked in justification of market reforms and economic growth. Sommardal calls for an opening of ‘Pandora’s Cultural Revolutionary Box’ and a discussion on the place of the Cultural Revolution in recent Chinese history. 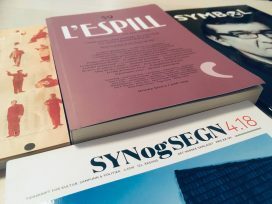 Alongside translations of fiction, memoirs and essays, by authors including Zhang Yihe, Liang Xiaobin and Yang Jian, the issue carries an article by the Swedish sinologist Michael Schoenhals. The preeminent scholar of the Cultural Revolution quotes from letters sent to friends in Sweden while a student in Beijing and Shanghai in the 1970s. Alongside descriptions of sounds and scents and women, they convey his increasing awareness of the intellectual and political climate – which he also, if only partially, succumbs to. Walking as method: Last summer, Ord&Bild co-editor Marit Kapla embarked on a hike through the central Swedish province of Värmland, following in the footsteps of the early twentieth-century writers Ellen Key and Selma Lagerlöf. Kapla reads their work against the backdrop of the landscape and its transformations. 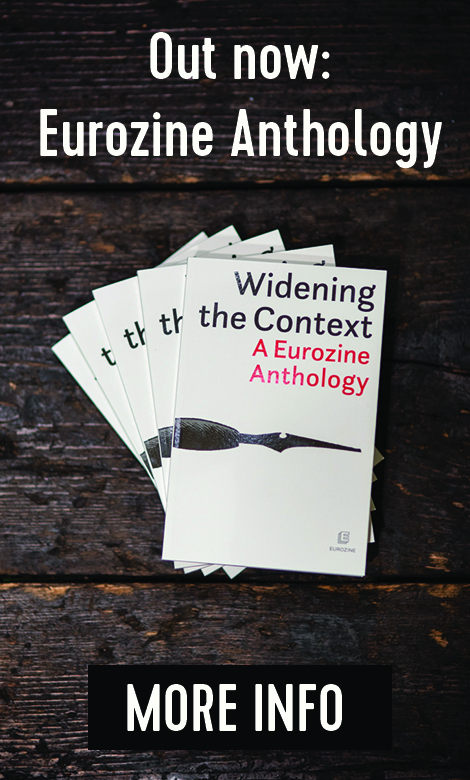 Also: Poetry by the fourteenth-century poet Persian Hafez and contemporary Danish poet Rasmus Nikolajsen. 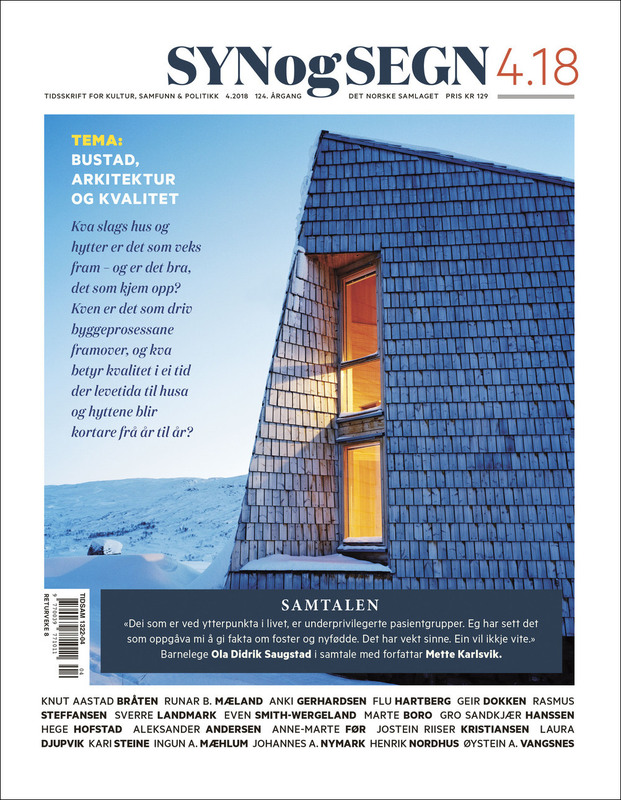 Syn og Segn focuses on new building in the age of climate change. Specifically, how does contemporary Norwegian architecture measure up against criteria such as resource and energy conservation as well as social, structural and aesthetic quality? Sustainability: Norwegians, like most people, like living in car-dependent clusters of suburban villas, despite their wastefulness. Gro Sandkjær Hanssen and Hege Hofstad ask whether high density housing served by public transport can be made more attractive, both socially and aesthetically. Marte Boro argues that a large proportion of new builds represent a poor use of resources and that old homes can be renovated to become almost as energy efficient as new passive houses. Old building methods based on using wood are particularly suited to the local climate. Abortion: Norway’s conservative government has recently proposed a change to abortion law that would prohibit a well twin being aborted with its ill sibling; on the other side, youth sections of the left-of-centre parties want the right to abortion ‘on demand’ to be extended from 12 weeks to 18 or 24. Paediatrician Ola Didrik Saugstad defines his own position on this controversial topic: ‘[It is] to work on behalf of the defenceless – including the newborn, premature or not … Personally, I see no contradictions in believing that both women and foetuses have rights. These are not mutually exclusive.’ He argues that procedures for both abortion and euthanasia are at best risk-filled and at worst brutal: ‘At the extreme ends of life, patients are underprivileged’. History of data: Johannes A. Nymark on the computational machine devised by the thirteenth-century polymath Ramon Llull, a Catalan scholar. Llull eventually devoted himself to analysis of the Abrahamic religions, using his version of data-processing to prove the superiority of the Christian faith. Loan, debt, credit, default: these words appear well beyond economics, in fields as diverse as culture, biology, ecology and medicine. Vikerkaar looks at how relations of credit structure the appropriation of blues in Estonian music, help us understand the ecology of cancer, and make sense of how responsibility is apportioned for the ongoing climate crisis. 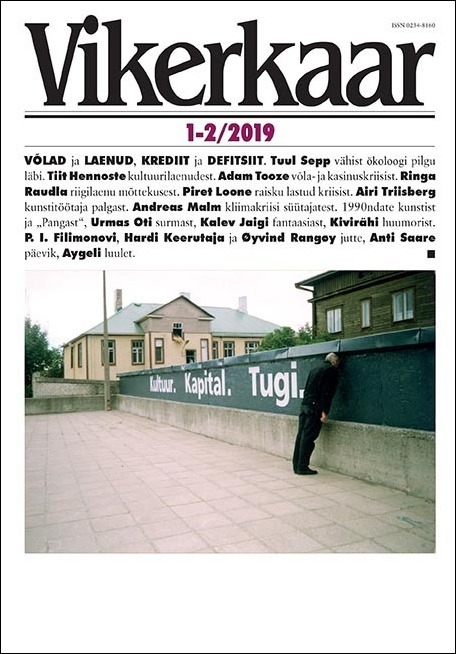 Also: Ringa Raudla on the fixation on low sovereign debt in Estonian politics; and Adam Tooze on the austerity myth, excerpted from his book Crashed. Res Publica Nowa analyses recent political developments that threaten the work of independent NGOs, including the withholding of public funds and interference with external funding mechanisms. The comparison with other countries of the region seems inevitable, since most of the Polish tendencies have precedents in Hungary and are expected soon in Slovakia. Contributors also examine the institutional and organizational challenges faced by the non-profit sector, which have a lot to do with engagement with their constituencies, financial models and the structural demands of project-based operations and public funds. Financing: Only thirty organizations cash half of all income tax-based subsidies each year, while over eight thousand share the other half of the total. With illiberalism on the rise and public funds evaporating, cross-border financing and crowdfunding seem to be obvious choices for independent civic organizations. Yet crowdfunding requires capacities that most civic actors cannot afford. 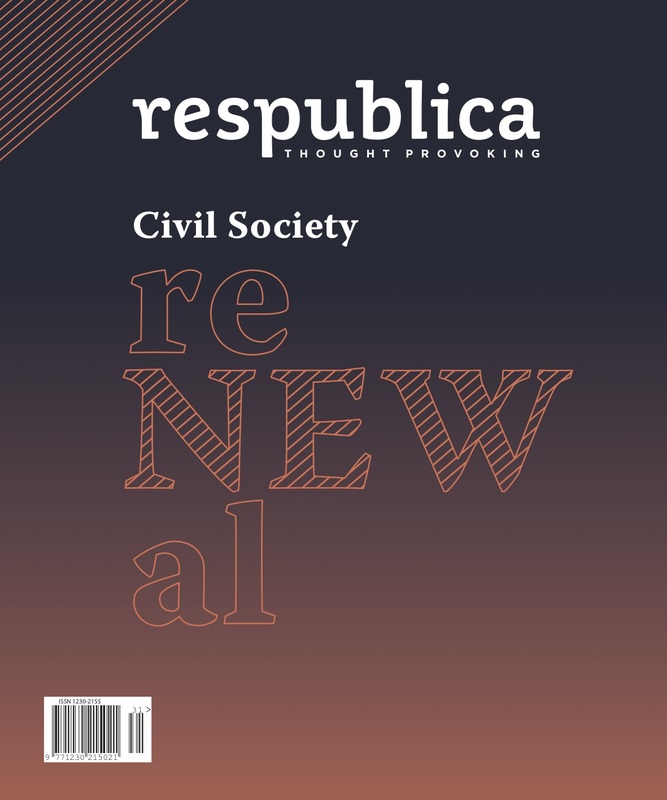 ‘Looking at the future of civil society, it is impossible to dismiss participation of the young generation’, writes Res Publica Nowa editor Piotr Górski. 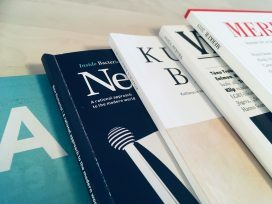 Albanian literature: Literary critic Blerina Suta on the work of Besnik Mustafaj, the former professor of literature who co-founded the Democratic Party of Albania in 1990 and went on to become Albanian foreign minister in the 2000s. Mustafaj’s novel A Small Saga (1995) – an ironic allusion to the ‘great ideological saga’ of socialist realism – treats the topic of political imprisonment during communism. Through thematic and formal innovation, writes Suta, this and other novels by Mustafaj return to the period of dictatorship, whose consequences remain so tangible in contemporary Albania.